Your tax-deductible donation provides free minibooks for women in prisons, correctional facilities, abuse shelters and on school campuses. "Sherry Sims recently spoke to our group of residents at the Glory House. Her story encourages others to have hope and to reach out to God to find the healing they need to move forward in their lives! Sherry's testimony will help inspire hope and courage for women of all ages and backgrounds!" "Sherry Sims is one of the most dynamic “heart connecting” speakers I have ever heard. She engages with the audience before she says her first word. Sherry has a way of pulling you in, while leaving you on the “edge of your seat.” She never talks to you but always talks with you. "Sherry Sims is such an effective communicator. She delivers excellent, engaging content based on amazing personal adventures. Since she speaks from her expansive, compassionate heart, you don't just hear a speech from Sherry, it is an experience!" "Last year, I invited Sherry Sims to speak at the Rotary Club of Bixby and share her personal story about her battle with breast cancer. We purposely scheduled her event in October to coincide with Breast Cancer Awareness Month. "Sherry’s speech about “Volunteerism” at our Bixby Optimist meeting was wonderful. She touched every member in one way or another. Personally, I came away with a new view on volunteering – I will never forget what she taught me." "Sherry Sims is an inspiration to women of all ages. Her words of encouragement filled the room in January when she spoke to our young ladies. The Miss Bixby Scholarship contestants listened closely when Sherry spoke about the challenges she faced in her youth. "Sherry Sims was the guest speaker at a ladies luncheon at our church recently. Her story was one of courage and faith as she shared her personal journey of being diagnosed with breast cancer and becoming a survivor. 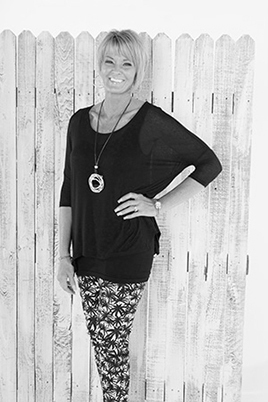 Sherry has a comfortable and easy style and many ladies could easily relate to her. We especially appreciate that Sherry spent time visiting with several of the ladies who wanted to share their personal experiences with her." "Sherry Sims was invited to speak to the female inmates at the Washington County Correctional Facility by the Bartlesville Ladies Connection Jail Ministry in February. Her story was very well received as she poured out her heart to these precious women. "I first met Sherry Sims through Apostle and Pastor Davis at a Women’s Breakfast held in their home. From day one, this young lady has truly been a blessing. With such a powerful testimony of God’s saving grace and healing power, Sherry has taken this city by storm! Post Office Box 330243 | Tulsa, Oklahoma 74133 | Copyright ©2017 Sherry A. Sims. All rights reserved.